Health officials said while infected, the patient visited the Lowell Community Health Center, the T.J. Maxx on Chelmsford Street in Chelmsford and the Walmart Supercenter on Main Street in Tewksbury. 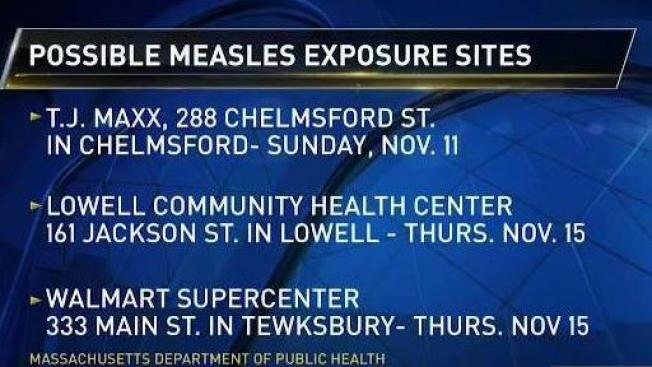 Officials with the Massachusetts Department of Public Health (DPH) confirmed Saturday a second case of measles was diagnosed in Lowell earlier in the week. DPH said the infected person was diagnosed Nov. 15. 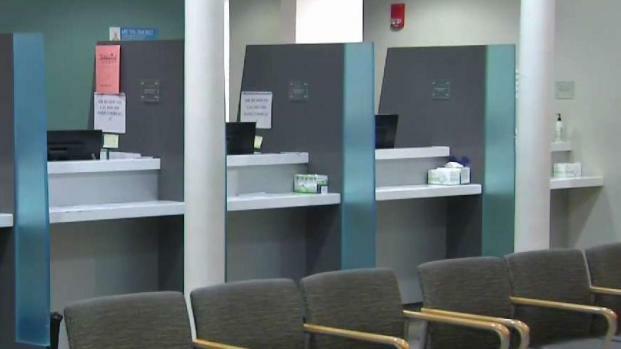 During the infectious period, the individual was at the Lowell Community Health Center, where another individual was diagnosed with measles on Nov. 10. Health officials said while infected, the patient also visited the T.J. Maxx on Chelmsford Street in Chelmsford and the Walmart Supercenter on Main Street in Tewksbury. While both diagnoses were made at Lowell Community Health Center, health officials do not know if there are links between the two cases. A case of measles has been confirmed in Lowell, Mass. "Our efforts now are to identify people who may be at risk of getting ill and to get them vaccinated," said State Epidemiologist Dr. Catherine Brow. "Getting vaccinated within 3-5 days of an exposure can reduce the likelihood of getting measles." Chelmsford Police also issued a warning after the patient visited the T.J. Maxx store on Nov. 11. "Early symptoms are similar to having a cold," said Chelmsford Police Chief James Spinney. "If you believe you may have been exposed to this person or if you believe you may have symptoms of measles, please contact your health care provider and try to limit your exposure to others." Health officials say people with measles may be contagious up to four days before a rash appears and for four days after the day a rash appears. Officials say those who have already been vaccinated are not at risk, and that anyone born in the U.S. before 1957 is likely to be immune. DPH says if you don't know your immunization status, you are urged to get vaccinated with at least one dose of measles, mumps, and rubella (MMR) vaccine.